Aetna Voices of Health Competition – Thank You! 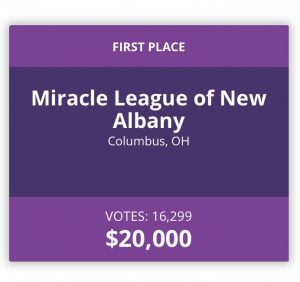 Thank you to everyone who voted for The Miracle League of New Albany in the Aetna Voices of Health Competition! You really turned out in force, 16,000+ votes strong, to help us win the competition and get closer to our goal of giving every child the chance to play baseball. Thank you for your support!